Bitcoins can be bought through several means including through exchanges or directly from persons via marketplaces. There are also various payment methods which span from debit or credit cards, to physical cash, wire transfers or using other cryptocurrencies depending on the country of residence and from whom you are purchasing. There is a difficulty buying with credit cards or Paypal depending on location due to the ability of a chargeback – the reversal of the transaction to the card company – by just placing a call, and due to the difficulty in proving the actual exchange of goods in a bitcoin transfer, most exchanges and private sellers don’t accept them as a payment means. Globally, however, options has continued to grow increasingly. 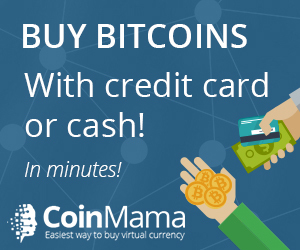 The US for instance has Coinbase and Circle who accepts credit cards as a payment means for bitcoin purchase. Expresscoin, also in the US accepts money orders, personal checks and wire transfers from clients without the regular access to banking facilities. In the UK, Bittylicious, CoinCorner and Coinbase accepts 3D Secure-enabled credit and debit cards on the Visa and MasterCard networks for bitcoin purchase. A Vault service securing the bitcoin offline or a multisig wallet that uses different keys to ensure the wallet is extremely secure. Depending on the type you choose, each has its own downsides. For the hard drive storage on a computer, one must ensure to regularly back up the wallet should the drive become corrupt. The online platform deploys varying level of protections from the poor ID and password combination to a more secure multi-factor authentication to ward off the schemes of hackers. The most secure being a hardware wallet, also sometimes referred to as cold storage due to it being offline and unavailable unless you plug it in. Different exchanges and wallets present themselves to those new to bitcoin in other to shore up their businesses. Among them are full-blown exchanges for traders while some others just operate a simple wallet services with constrained ability for either the purchase or sale of bitcoins. The best option for institutional traders or speculators, who don’t need total anonymity and isn’t concerned about the bureaucratic process involving proof of identity and the presentation of personal information, is the Exchange and wallet. In most countries, every organization interfacing with the current financial system as is the law, must meet the KYC (Know Your Customer) and AML (Anti-Money laundering) and therefore, no exchange can discover a way out. One of the largest bitcoin trading exchanges in terms of volumes traded are Bitfinex (Hong Kong), Bitstamp (US), Kraken (US), Huobi (Chin and Hong Kong), OKCoin (China) and BTCC (China). Coinbase in the US which originally was created for US citizens alone is now one of the most popular wallets and also offers exchange services that accepts the US dollar and Euro for bitcoins. The company has also spread its operations to other European countries and uses both the web platforms and mobile apps for its services. Circle which is another similar wallet and exchange platform allows users globally to purchase, sell and house their bitcoin with the option of both credit and debit cards but only allows US citizens to link bank accounts for funds deposit. In Australia, an exchange and wallet provider, Coinjar, raised $500 thousand AUD through venture funding, released a debit card service called ‘Coinjar Swipe’ in February 2015 and won an award due to their fantastic user experience at the Finovate Europe 2015. Another popular exchange in Australia is CoinSpot. CoinSpot make it a simple process to buy and sell almost of types of cryptocurrency via a payment service called Poli. In India, Unocoin offers a buy, sell and storage facility for the bitcoins. However, registration with a PAN card is of extreme importance before using their services. Funds deposit are done through the national banks or using the NEFT/RTGS service. There must be a linked bank account to the exchange account to enable funds transfer via wire transfer between it and usually demands some transaction fee. In some countries, sending money to overseas accounts is possible but it comes with a significantly higher transaction fee and could take days should you require to convert your bitcoin back to the regular currency and most times would require accounts for banks domiciled within the country in other to use the exchange service. Most exchanges and wallet do not provide the type of security banks do even with their proof of identity requirements. Often, there is little or no form of insurance for your bitcoins in case of loss due to the company’s liquidation or outright theft by hackers as was the case with the Mt Gox exchange. Authorities find cases like theft difficult to handle as bitcoins don’t have a legal status in most countries globally but some bigger exchange might choose to do a refund to customers following a theft but are not legally bound to do so. In a case of theft due to negligence on the part of the user in terms of security or password, there is no guarantee of a refund. The most secure place to store your cryptocurrency is in cold storage as mentioned above, this way, even if the exchange goes into liquidation or suffers from a hacker attack, your money is safe and secure in your own wallet. Few banks do not accept the use of bitcoins due to regulatory uncertainties. Purchasing bitcoins from a local seller is an option for those who rather prefers to be anonymous and do not require the stress of transacting through a bank. LocalBitcoins is an example of a site where price and volume negotiations take place. The site further provides an extra level of security with an escrow service for users. Depending on the volume, there are security implications for both those purchasing or those selling like ensuring the meet happens in a public place and taking all the required precaution while walking around with significant amount of cash. However, you would still need to access your wallet and require a device e.g. a smartphone, tablet or laptop; an active internet connection to confirm the transaction. A Premium of about 5-10% may be demanded by the seller for a face-to-face exchange trade for convenience and privacy with most established traders choosing to complete negotiations before accepting to meet and wouldn’t usually take too long due the bitcoins value volatility. It is important to confirm if such transactions is legal in your area as there could be police suspicion if there is a cash exchange in public assumed to be for something illegal. In the recent past, it was possible to make your own bitcoin with your PC or a powerful graphics card but with the bitcoin’s increasing popularity, more powerful and mining-specific devices called ASICS have been brought onto the network substantially increasing the energy and difficulty level in mining significant amounts of bitcoin. With the amount of bitcoin remaining for mining reducing rapidly as time progresses, most persons might end up incurring more costs for hardware and electricity than they would ever get back through mined bitcoins. A technique growing in popularity is the ‘cloud mining’ where individuals invest in company to use their data centers to mine on their behalf. Trusts like Bitcoin Investment Trust (BIT) or the Winklevoss ETF operates by investing exclusively in bitcoins by using a state-of-the-art protocol in securing shareholders holdings. Individuals who do not prefer buying and storing large quantities of bitcoins themselves can turn to these trusts to transact on their behalf. The trust so far has been for wealthy investors but is also open to all and sundry. Growing in popularity, this new concept which operates like the face-to-face transaction type but this time with a machine requires you to insert cash then either scan your mobile wallet QR code or receive paper receipt with necessary codes required to load bitcoins into your wallet. Vendors like CoinOutlet, BitAccess and Lamassu operate this way already and many more are on the way. Purchasing bitcoin isn’t always as easy as newcomers would expect but with the increasing options it is only bound to get easier over time. Some innovation may not require wallets or internet access and might include the use of physical bitcoin ‘coins’ or bitcoin debit cards with a value of bitcoins pre-loaded.